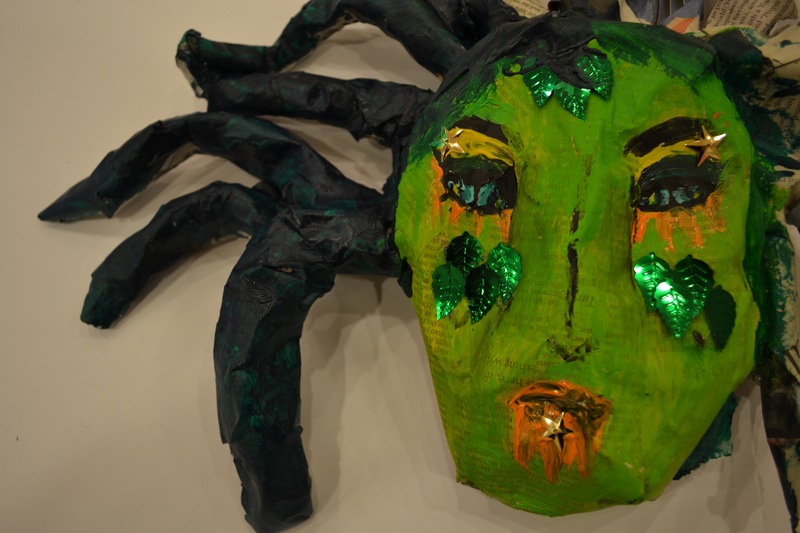 My mask portrays the power of Medusa, i.e. the power to turn people to stone. The mask covers the eyes of the wearer, and, when removed, their gaze will immediately turn anyone who meets it to stone. The mask has scales scattered across it and snakes speaking like locks of hair as an homage to Medusa, the inspiration for the whole mask. It was very challenging to work with paper mache. I am most proud of the decoration of the mask.